Brighouse Town drew 1-1 at Emley last night in their latest pre-season friendly. They took the lead through Luke Parkin on 26 minutes, the striker beating the offside trip and chipping the ball over the ‘keeper. However, Emley equalised nine minutes before half time. 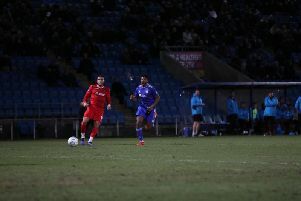 They were awarded a penalty and although Kieran Ryan’s effort was saved by Tom Taylor, the home player knocked home the rebound. Brighouse, who had won two of their three previous warm-up games, now host Campion on Saturday.